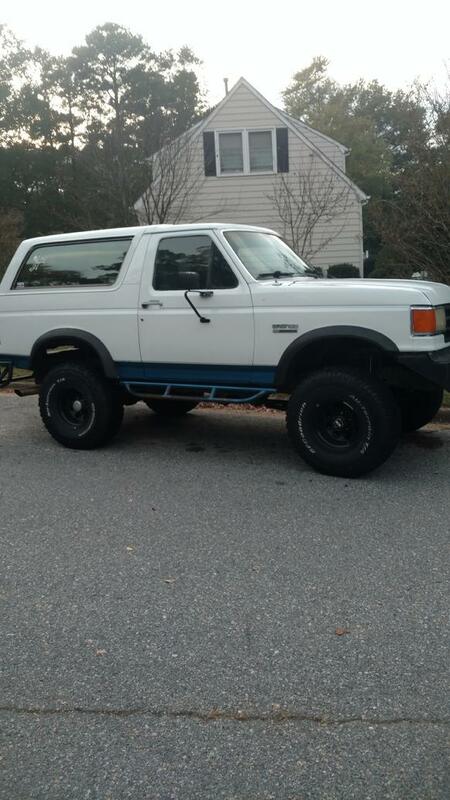 I have for sale or trade my 1988 Ford Bronco XLT. 11/17 INSPECTION. with a 4" suspension lift and 3" body lift, 35" BFG all terrain tires less than a year old, C6 transmission with shift kit, and a fuel injected 351 Windsor installed a year ago with less than 30k miles as of now! miles going up as it is my daily driver. 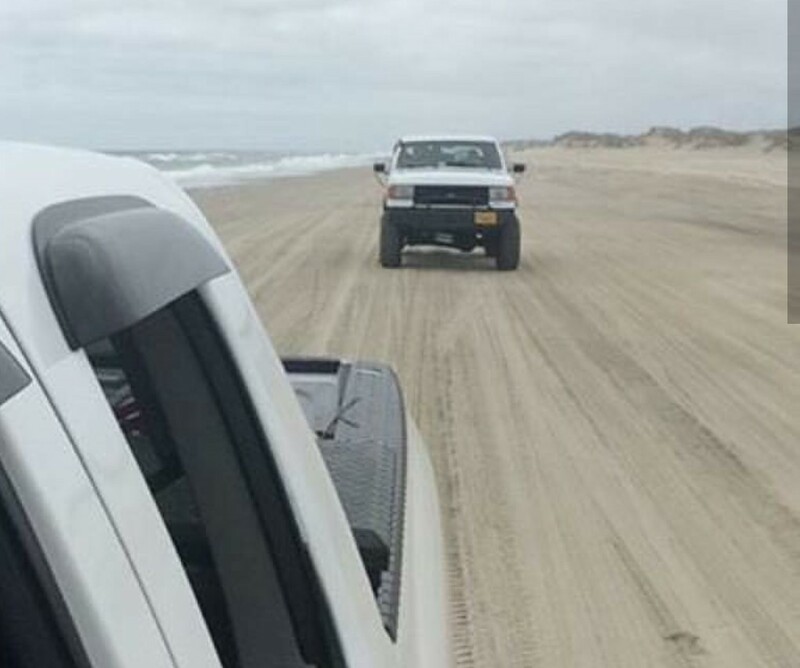 For those Bronco enthusiasts out there, this Bronco is the same one from fullsizebronco.com "Saltlife's Beach Build". 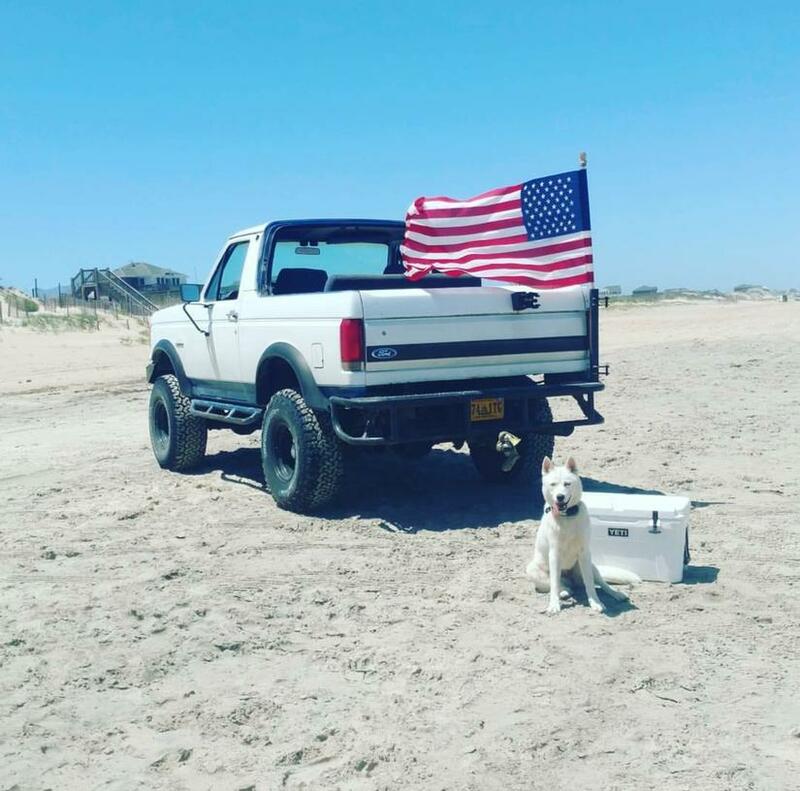 He owned the truck two years before i bought it and you can see in his thread that he gave this truck alot of love, i kept that going by finishing his project and making it the perfect beach truck with an engine that will always get you there and back. heres his thread and below are current pictures as well as what i have done since ive owned it. Apples machine shop gave the engine a bath, honed the cylinder walls and mating surfaces, installed new freeze plugs, cam bearings, and rod and main bearings as well as new piston rings and polished the crank. I'm sure I'm forgetting a few things but you get it. this truck has been given some serious love and so I need it to go to a good home that will appreciate the work that was put into it and enjoy it! This thing is meant for adventures not to sit and rot in someones yard. As far as trades, I am looking for a toyota 4 runner but let me know what youve got and worst i can say is no! $6200 cash priced to sell. Last edited by cstout7; 03-19-2017 at 03:56 PM. 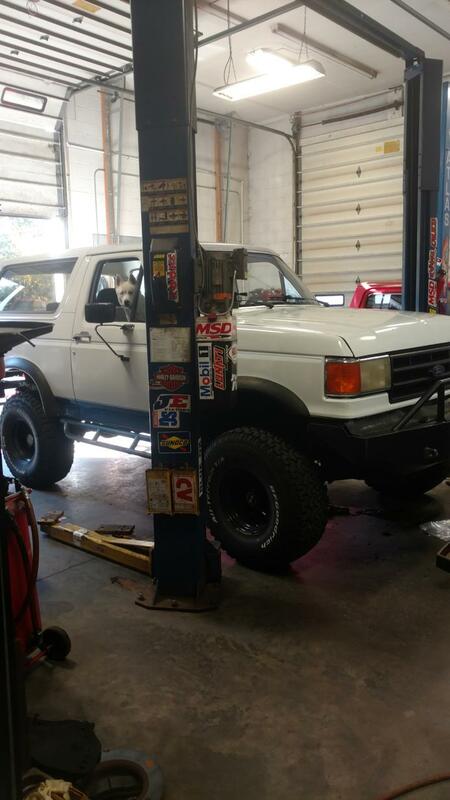 Is your Bronco still for sale? I've followed this thread for years so I am very interested. Please let me know if it is still for sale and we can talk further.